How do I edit a published roster? Even once a roster has been published and communicated to staff, you can easily go back into RosterElf, makes changes and re-publish. In the "Roster" tab, select the site and week you wish to update and re-publish. Roster weeks already published will be marked with a green "Published" banner. Select a published roster to update by clicking on it. The published roster will be displayed. 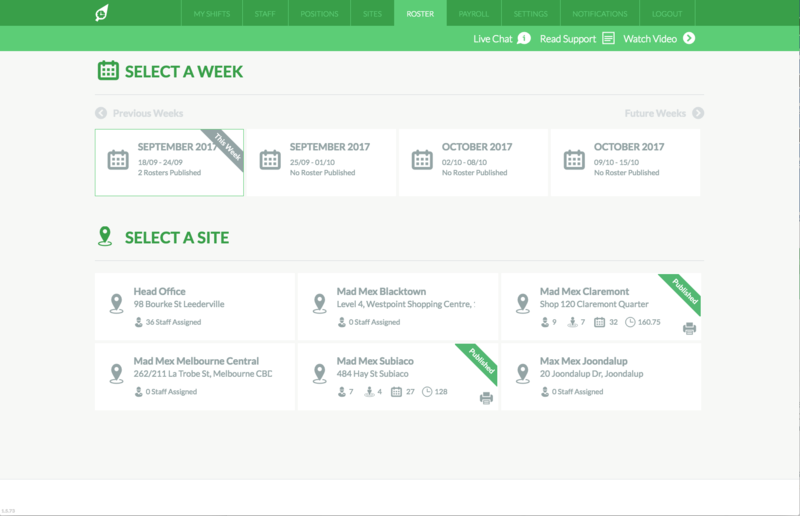 Make the necessary changes including adding adjusting shift times, adding or removing shifts or even swapping employees from shifts already listed. Once you are done, click "Publish". 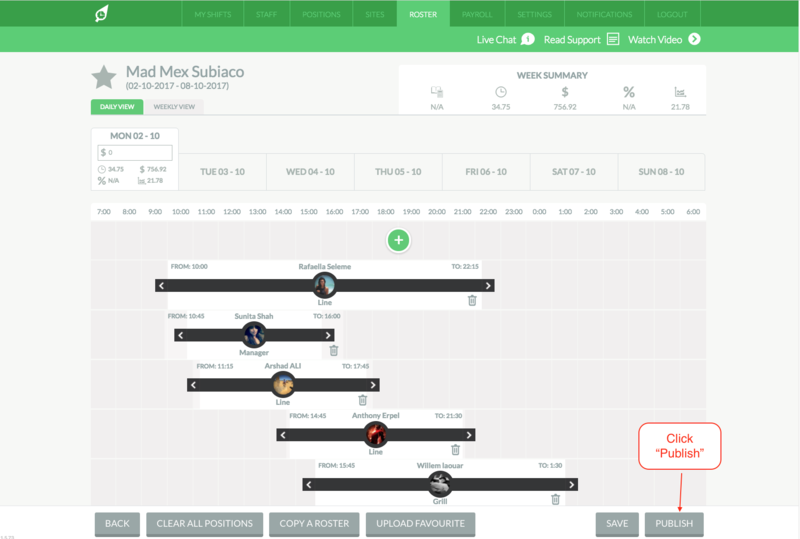 Finally, you will be taken to a review screen similar to below to re-publish. 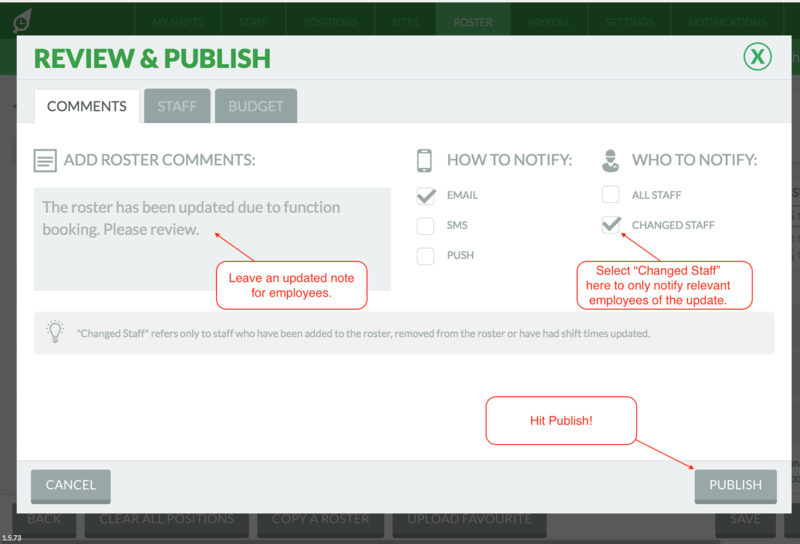 Ensure you have clicked the "Changed Staff" box, as this will only send a communication to staff who are impacted by the update, not all your employees. 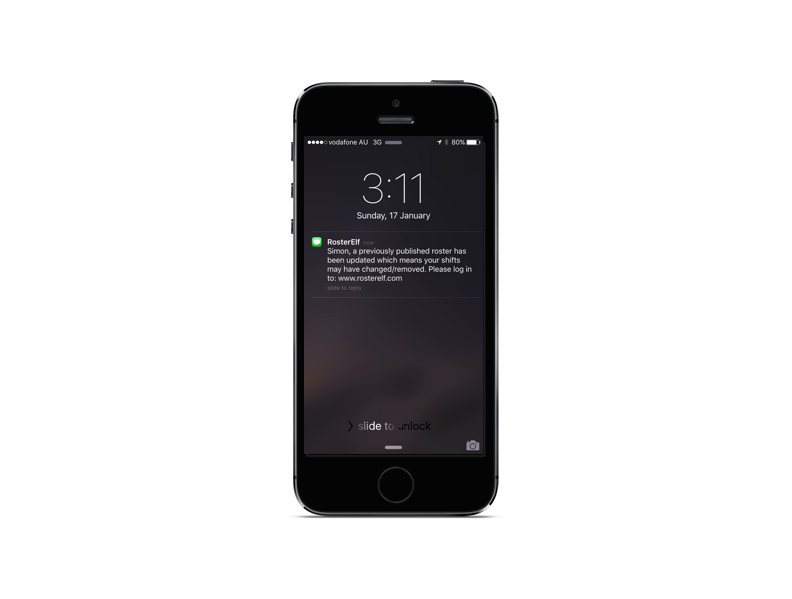 Employees will be notified by your chosen delivery methods including SMS, email and push. 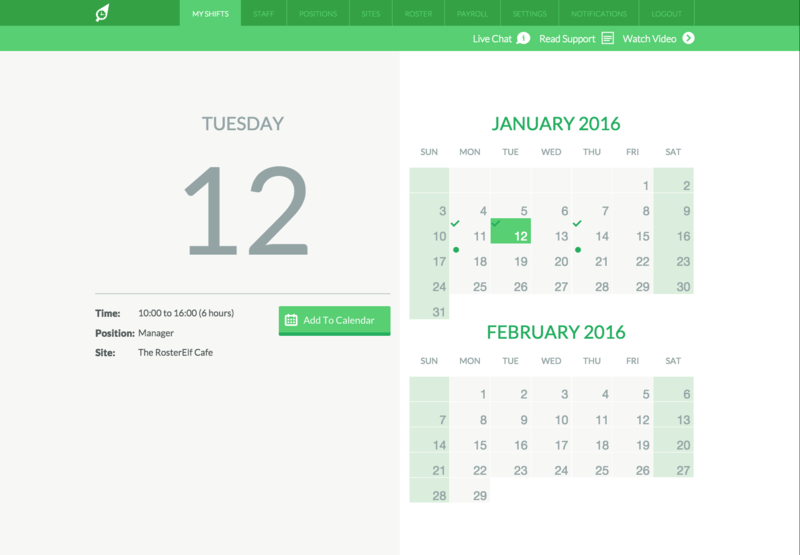 All employees who have had shift changes will also see full details instantly in their My Shifts section .